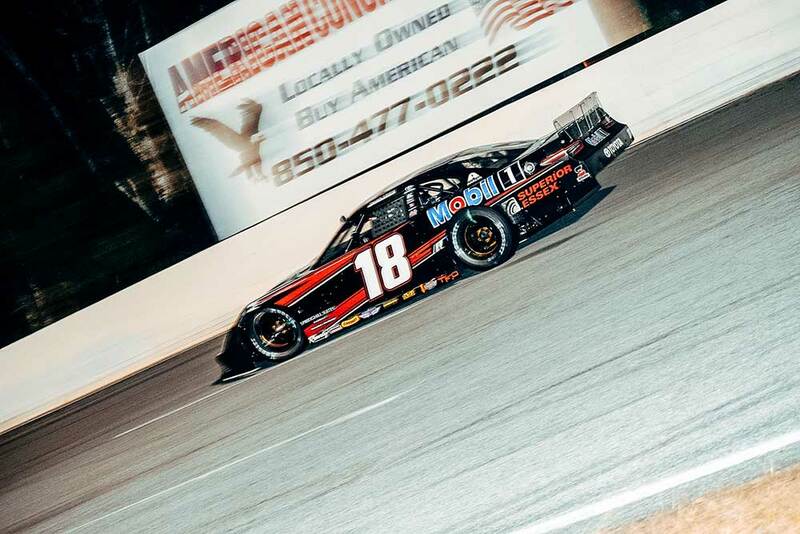 Making his final start for Kyle Busch Motorsports (KBM), Noah Gragson was able to work his way around Harrison Burton on a restart with seven laps remaining and then held off a hard-charging Ty Majeski to bring home the victory in the 51st Annual Snowball Derby at 5 Flags Speedway, the marquee Super Late Model event of the season. 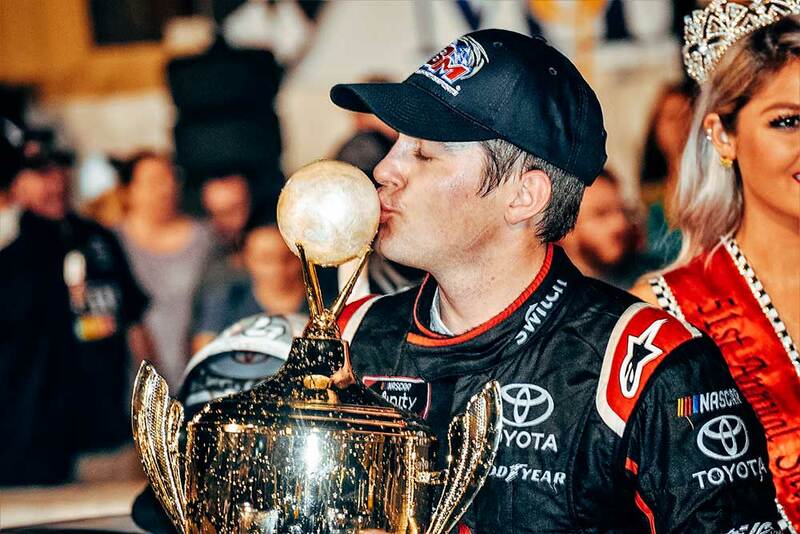 Gragson’s Snowball Derby victory was the second consecutive and fourth overall for KBM. Owner-driver Kyle Bush won last year’s event and was also victorious in 2009, while Erik Jones collected the Tom Dawson Memorial Trophy in 2013. It was the second marquee victory at KBM for Gragson in the Super Late Model ranks, he also won last year’s Winchester 400 at Winchester (Ind.) Speedway. Richmond summoned his driver to pit road for four fresh tires with an air pressure adjustment and thanks to speedy work by the over-the-wall crew returned to the track as the leader. The field went back green on lap 102 and three laps later Gragson surrendered the lead to his KBM teammate, Raphael Lessard. As a long green-flag run ensued, the No. 18 Camry strategically settled into the top five and logged off laps. A caution on lap 168 set up another round of pit stops. Gragson hit road from the fourth spot for four fresh tires and a chassis adjustment. He returned the track in the third position for the lap-177 restart. Once again, the 20-year-old driver settled for running in the top five and preserving his Camry for the end of the race. When the next caution occurred on lap 213, a handful of cars hit pit road for their final set of sticker tires, while Gragson’s team elected stay on the track in hopes that another caution would occur later in the race. A long green-flag run ensued and Harrison Burton, one of the drivers who pitted for tires, appeared to be in control of the race. Fortunately for the No. 18 team, who had settled into the fourth position, a yellow flew with 20 laps remaining. Gragson hit pit road for his final set of tires and once again his over-the-wall crew won the battle off pit road. The Switch/Mobil 1 Camry returned to the track in the second position behind Burton, who was forced to remain on the track because he didn’t have fresh tires to put on. Gragson quickly worked his way around Burton and then focused on hitting his marks in an effort to hold off Majeski. He turned his fastest lap of the race on lap 296 and while Majeski was able to close to his bumper in the closing laps, Gragson crossed the stripe at the head of the field to end his tenure at KBM with a walk-off win. After a celebratory burnout and his patented fence climb, Gragson celebrated with his team, and then once technical inspection cleared walked away with the Tom Dawson Memorial trophy. Lessard was scored in the fourth position after the final round of stops, but before the race went green was forced to pit road by race officials because the No. 51 was leaking fluids onto the track. After stopping in his pit stall for his crew to have a look, the team determined the couldn’t get the issue fixed leaving Lessard with a heartbreaking 25th-place finish. 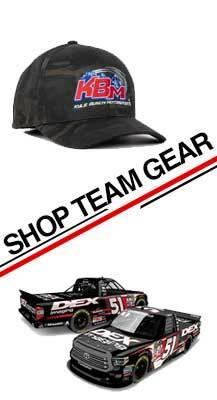 What does it mean to you to close out your tenure at KBM with this win? What were your thoughts when you came off pit road second behind Harrison Burton?